Four Day Event Training Short Course Sydney. Learn event management. Both long term professionals and those new to the event industry attended our Sydney event management course. Attendees at our Executive Certificate in Event Management (Business and Public Events) held in Sydney in October 2018 were drawn from the public and private sector including local government, special event companies, banks, insurance companies, charities, venues and industry associations. The program was conducted at the University of Technology, Sydney, and involved presentations on various aspects of event management. The course included event management case studies by Meredith Burton from Bee-Events plus an in-depth analysis of issues linked to event catering by Ross Mitchell, Director, Forte Catering. The four-day Executive Certificate in Event Management Course (Business and Public Events) is held at locations throughout Australia, including Sydney, is based on an extensive survey of event industry professionals. The program is specifically designed to both enhance the skill and knowledge base of those already employed to plan and deliver events and to serve as a sound platform for those people seeking to launch careers in the exciting and varied field of event management. Who are our Sydney event management course designed for? This event training program is specifically designed to both enhance the skill and knowledge base of those already employed to plan and deliver events, and to serve as a sound platform for people seeking to launch careers in the exciting and varied field of event management. 20+ years experience in event management courses. 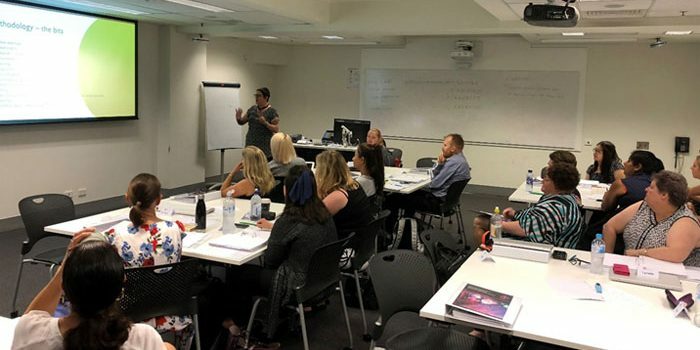 Event Training Australia (ETA) has its origins in the recently closed Australian Event Award-winning Australian Centre for Event Management (ACEM), University of Technology, Sydney.